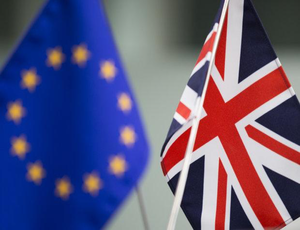 In a victory that stunned analysts around the world, the UK has voted to exit the European Union (EU) by a margin of 52 to 48 percent. In addition to producing significant implications for investors across Europe, the interconnected nature of the global economy leaves businesses across the world exposed. ASEAN is no exception. Currency markets within the South East Asian bloc have already seen swift valuation changes, and the pending exclusion of the UK from the EU’s network of trade negotiations in ASEAN is likely to have a long term impact on trade within the region. 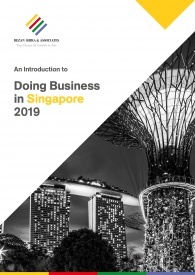 For European investors maintaining operations throughout ASEAN or British parties considering investment, it will be of utmost importance to monitor developments within the region closely in order to ascertain their likely exposure to Brexit fallout. As markets within ASEAN know all too well, currency volatility is one of the most immediate externalities associated with economic crisis. Despite the Pound Sterling being separated from the Euro, the mere threat of a Brexit was enough to depreciate the Pound by 7 percent against the US dollar during voting. As polls closed, ASEAN currencies have also seen substantial rises in their value against the United Kingdom. For those purchasing goods or servicing debts within the UK or using British Pounds as a medium of denomination or exchange, the prevailing headwinds within currency markets strongly favor currencies from within ASEAN. In the near term, this will allow consumers to purchase goods from UK based suppliers at a significant discount, however, it will also curtail the ability of British based consumers to purchase goods from a variety of markets including those within ASEAN. This is likely to constrain liquidity of British buyers and runs the risk of disrupting existing purchase agreements that these parities may have signed with ASEAN based suppliers. While the British Pound has been hit hardest by its exit from mainland Europe, Brexit has created significant tensions within the Eurozone as a whole and decreased confidence that the Euro will continue to be used within the region. Reflecting these concerns, all currencies within ASEAN have appreciated significantly against the Euro with the exception of Malaysia. Investors flooding out of the Eurozone have instead taken refuge in Dollar denominated assets resulting in an appreciation of the US dollar against ASEAN markets. Although muted when compared to the Pound, the movement of the Dollar and Euro will have tangible impacts on the cost of goods being purchased and sold to these markets. Exports to the European Union will likely see reduced demand as cost adverse Eurozone buyers are priced out of ASEAN markets. 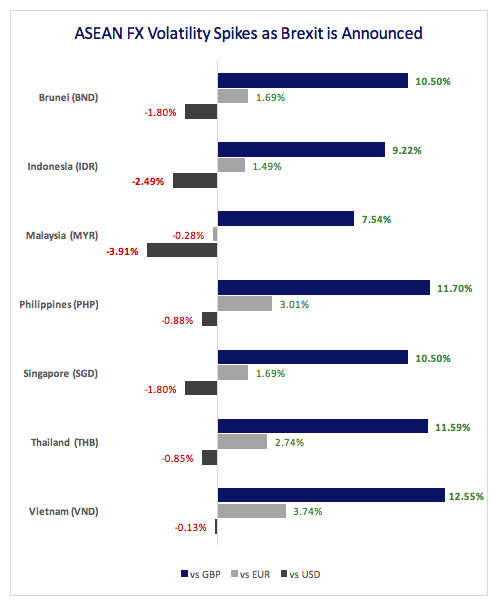 Buyers from within ASEAN on the other hand will benefit from discounted Eurozone goods brought on by the relative rise in their home currencies. Those exporting to US markets will likely see demand increase, with countries such as Malaysia and Indonesia particularly well positioned to benefit. A final area of consideration for investors should be those nations within ASEAN that have chosen to control their currencies. Given the large volatility and volume of trading in international markets, countries such as Laos, Myanmar, and even Vietnam may struggle to maintain steady parity with the Pound and other currencies such as the US Dollar. While currency markets will price in Brexit over the coming weeks, the long term impact of the UK’s departure will likely be reflected in ASEAN’s trading relationship with the European Continent. 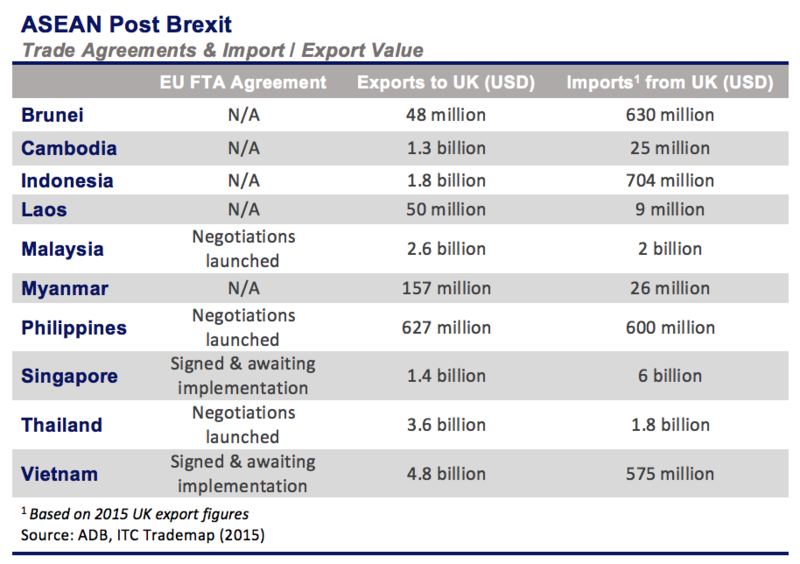 Not only does the United Kingdom lack a network of independent trading arrangements with ASEAN states, but many of the EU projects with ASEAN remain unresolved. Currently, the EU is in open negotiations with several of the largest economies within the ASEAN region including Malaysia, Thailand, and the Philippines. Moving forward, the United Kingdom will not be included within these negotiations and will be excluded from the benefits of any finalized agreements. This is likely to present challenges for those wishing to export to the UK or for UK based investors currently seeking to invest within the region. Although it is likely that the UK will initiate similar agreements independently, these agreements are yet to be announced and will likely take years to negotiate and implement. For mainland European investors who stand to benefit from agreements with ASEAN states, the fallout of Brexit is likely to cause considerable turmoil. As a serious blow to Brussels and confidence in centralized European governance, Brexit is sure to detract focus from negotiations in the near to medium term. Depending on the speed with which mainland Brexit fallout can be managed, negotiations may be subject to varying delays. As explored above, currency volatility in Europe presents salient import opportunities for a variety of ASEAN’s producers and consumers. In the long term, however, a select group of ASEAN markets and investors stand to reap major advantages from the diminishing position of Europe within ASEAN. Having already concluded negotiations with the European Union, Vietnam is likely to be the big winner in the face of Brexit. Lagging EU trade negotiations with other member states will make the communist nation one of the most exciting opportunities for low cost investment from a European perspective. In the face of lowered purchasing power within the Eurozone, consumers will be on the lookout for low cost goods. Given its unique position in low cost manufacturing, Vietnam will likely be more competitive than ever among European consumers. 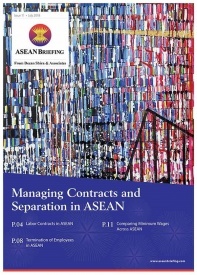 The longer that negotiations are drawn out in other ASEAN states, the more solidified Vietnam’s advantage will become. 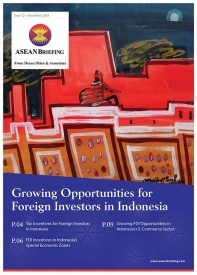 From the perspective of investment, TPP is likely to solidify advantages for its 11 members within ASEAN. The reduction of tariffs and convergence of regulations with Malaysia, Singapore, Brunei, and Vietnam provide significant opportunities for TPP members that will now be out of reach for European competitors. The dollar’s strong appreciation against ASEAN currencies is also likely to compound benefits for US based investors, making them among best positioned to invest within ASEAN. Despite the British decision to walk away from Europe, ASEAN is set to remain a lucrative and resilient location for investment and production. Many economies within the region are undergoing trade negotiations with the EU and have seen favorable treatment in the face of currency volatility. Nonetheless, it is important for companies operating in the region to understand the nature of their exposure to this development and to take actions to mitigate externalities as they arise. 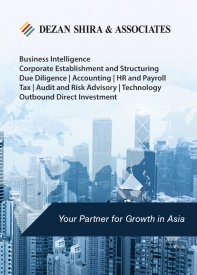 In the short term, it is advised that companies with a large European (UK or mainland) customer base pay close attention to foreign exchange volatility and consider mitigation options within ASEAN. Even if headwinds favor them in the status quo, these could change quickly as the situation in European and Asian markets develops. 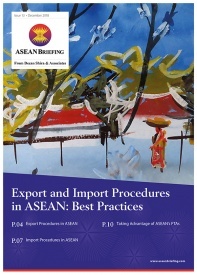 In the medium term, it will become important for companies to begin to monitor the progress of trade negotiations between the EU and ASEAN member states. It is likely that these could see delays and understanding when and where these delays will occur will allow for effective investment and operational planning. The United States backed Trans-Pacific Partnership Agreement (TPP) includes six Asian economies – Australia, Brunei, Japan, Malaysia, Singapore and Vietnam, while Indonesia has expressed a keen willingness to join. However, the agreement’s potential impact will affect many others, not least of all China. 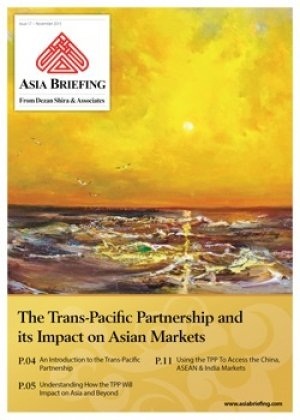 In this issue of Asia Briefing magazine, we examine where the TPP agreement stands right now, look at the potential impact of the participating nations, as well as examine how it will affect Asian economies that have not been included.